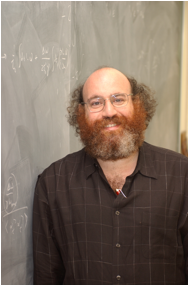 William Bialek is the John Archibald Wheeler/Battelle Professor in Physics, and a member of the multidisciplinary Lewis-Sigler Institute for Integrative Genomics, at Princeton University. In addition, he serves as Visiting Presidential Professor of Physics at the Graduate Center, City University of New York, where he is helping to launch an Initiative for the Theoretical Sciences. Professor Bialek can be reached through his assistant at Princeton, Mr Lee Morgan (609-258-0859). For matters related to ITS @ The Graduate Center, please email its@gc.cuny.edu. I am interested in the interface between physics and biology, broadly interpreted. A central theme in my research is an appreciation for how well things �work� in biological systems. It is, after all, some notion of functional behavior that distinguishes life from inanimate matter, and it is a challenge to quantify this functionality in a language that parallels our characterization of other physical systems. Strikingly, when we do this (and there are not so many cases where it has been done! ), the performance of biological systems often approaches some limits set by basic physical principles. While it is popular to view biological mechanisms as an historical record of evolutionary and developmental compromises, these observations on functional performance point toward a very different view of life as having selected a set of near optimal mechanisms for its most crucial tasks. Even if this view is wrong, it suggests a theoretical physicist's idealization; the construction of this idealization and the attempt to calibrate the performance of real biological systems against this ideal provides a productive route for the interaction of theory and experiment, and in several cases this effort has led to the discovery of new phenomena. The idea of performance near the physical limits crosses many levels of biological organization, from single molecules to cells to perception and learning in the brain, and I have tried to contribute to this whole range of problems. A complete list of publications, with links to pdf files of most papers. Publications organized by research topic, with links to commentaries (needs to be updated!). Statistical mechanics for real biological networks. This is a reasonably technical seminar, which I tried to give with slides rather than just on the blackboard, on the excuse that details of the data mattered. I still like the blackboard versions better, but at least this leaves a record. It has evolved over the year, this version from a colloquium at the Santa Fe Institute (27 Oct 2011). More perfect than we imagined: A physicist�s view of life. This was a public lecture at the Graduate Center of the City University of New York (3 Nov 2010). We got a little free advertizing in an excellent article by Natalie Angier. There is even a video of lecture itself. Some adventures in teaching at the interface of physics and biology. This is a lecture I have given in several venues, updated as we progress through our experiment with the integrated science course. This version was at Math for America (17 Sep 2011).